ArendsRus Country Lodge provides accommodation for 16 guests and has a beautiful ArendsRus Barnyard for functions such as Weddings, Special occasion Parties and Year end Functions, were we are capable to accommodate 80-100 guests. Subject to availability and receipt of payment, requests will be processed within 48 hours and services confirmed via e-mail or telephonic call. ​Direct bank transfer into our South African Bank account (also known as wire transfer, EFT or SWIFT transfer). Credit card transactions will be acquired for ArendsRus Country Lodge who are the approved payment gateway for ABSA Bank of South Africa. No credit card details are stored. Please do not send your credit card details to us by email as email is not secure. We actively fight charge backs and credit card fraud, and will co-operate fully with banks or investigating authorities in the event of suspected fraudulent activity.​ ArendsRus Country Lodge does not allow American Express or China Union Pay. 100% payment is required 5 weeks before arrival if booking is made more than 2 months in advance. reservation or order was made. Our properties are not pet friendly. No Large breed pets allowed at any time. However should we make an exception for a small breed pet, they need to be maintained in perfect condition for the benefit of all guests. No animals are allowed on the furniture AT ANY TIME and under any circumstances. Guests are required to remove ALL TRACES of an animal being present at the property. This includes (but is not restricted to) any fur/hair (except on floors), food, stains, smells or faeces. Any damage caused by the animal must be repaired or reported to us (and will be charged back to you). This includes damage to screens, paint work, carpets, furniture, gardens etc. Additional time that is spent cleaning up after animals will be charged to you. Pets also need to be on a leash when in public spaces and is not allowed in the Restaurant. Customer details will be stored by ArendsRus separately from card details which are entered by the client on DPO PayGate’s secure site. this agreement, whether in respect of court process, notice, or other documents or communication of whatsoever nature, Portion 28, Koesterbos Road, Geelhoutboom, George, Western Cape. ArendsRus may, in its sole discretion, change this agreement or any part thereof at any time without notice. 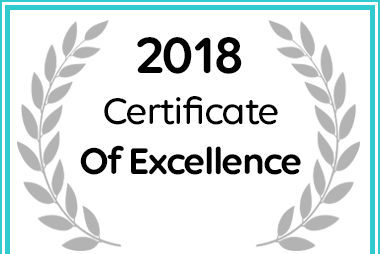 ArendsRus Country Lodge in George Received a Certificate of Excellence Award for 2018.